By supporting our Teacher Training, you are supporting the development of the next generation of Waldorf Teachers. Children are seeking teachers who can meet them as unique individuals and guide them into their life goals. Schools are seeking teachers who have the depth, health, strength and the love and respect needed to support the remarkable journey each child makes through childhood. Those people who want to become Waldorf teachers are seeking the training that they need to grow the inner and outer capacities to stand with self-assurance at the front of their class. 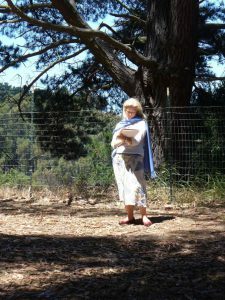 Over the past 16 years, the Bay Area Center for Waldorf Teacher Training has striven to meet the needs of children in the growing Waldorf School movement by providing a vital and inspiring program to develop excellent teachers. Our program has built a reputation for guiding adult students to becoming highly valued and respected teachers. Like every non-profit organization, we rely upon those who understand and support our mission to make tax-deductible donations that help bridge the gap between income and expenses. We depend upon those who recognize and value this work to raise enough gift money to enable us to make it financially possible for students to enroll in and complete the program. Please help us to do that by making your contribution today. YES! To make your contribution, please click the "Donate" button below.